Get our best car articles in your inbox, once per month. We promise we won't spam you! 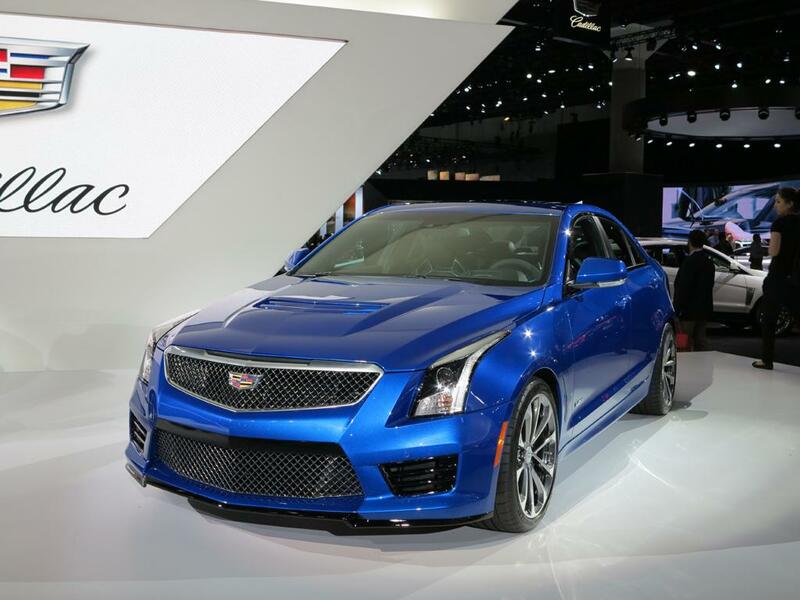 We have received some tips from our friend who is working in GM, that Cadillac is planning a higher performance version of the already-high-performance ATS-V, named the “ATS-V+”. The first question to be asked must be: what engine? There are multiple choices within GM’s parts bin. 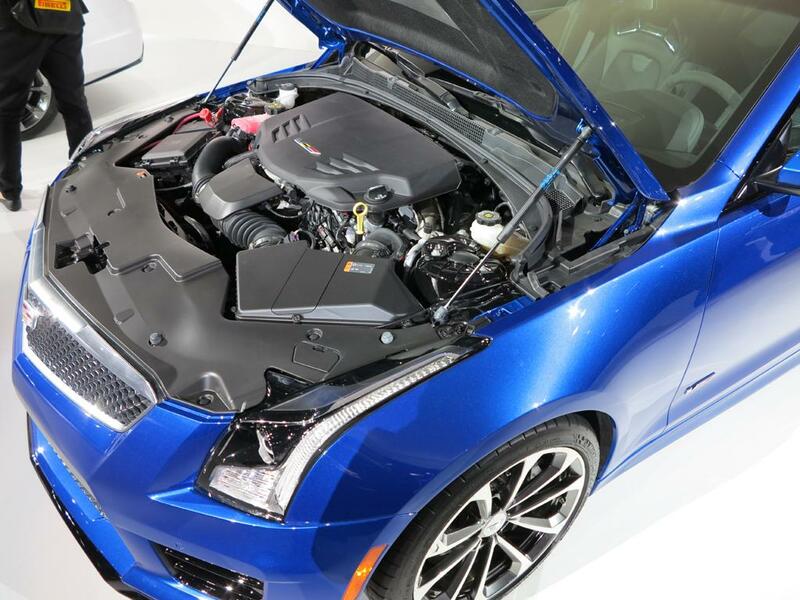 If you have noticed the engine compartment of the ATS-V (shown below), you will see it is more than enough to accommodate a V8, since the 3.6L twi-turbo V6 engine is sitting almost 100% behind the front wheel axle. In fact, our insider told us Cadillac is currently serious considering bringing the firm’s LS7 7.0L V8 in the ATS-V+. 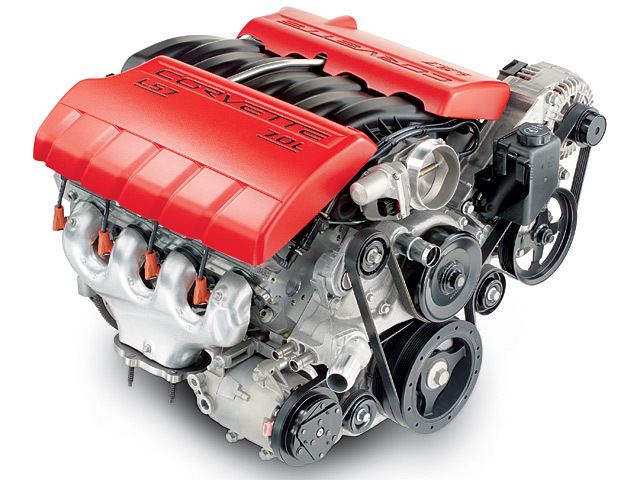 The 7.0L V8 is currently also used on the Camaro Z/28 and previously on the Corvette Z06, making 505 hp @ 6100 rpm and 481 lb-ft of torque @ 4800 rpm. The GM LS7 V8 engine has forged titanium connecting rods, titanium intake valves, sodium-filled exhaust valves and dry-sump engine oil system. Our GM insider told us the engineering team is making enhancement to the engine, to make it has enough power output advantage over the current 3.6L twin-turbo V6, which already has 464hp. This means the ATS-V+ may has way more power than 500hp. Both the 7-speed manual transmission (used on the Corvette) and also the GM 8L90 8-speed automatic transmission will be offered on the ATS-V+. These are what we have known so far, we will keep you updated once further progress information is available.